HUME, Fergus. 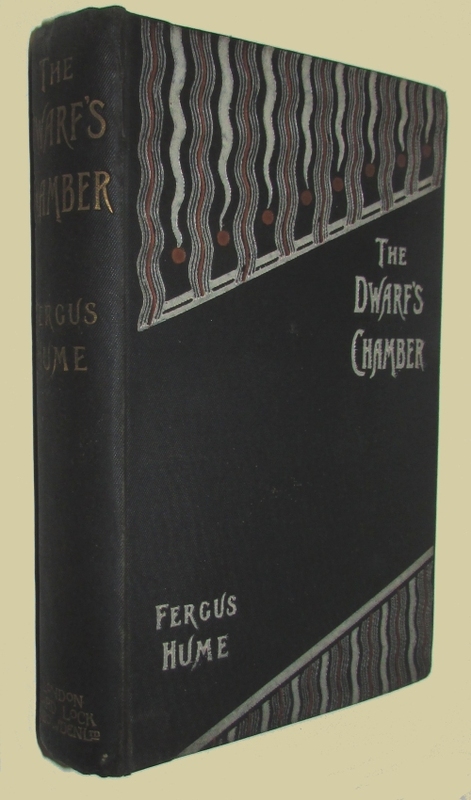 The Dwarf's Chamber and Other Stories. London: Ward, Lock & Bowden, 1896. First edition. 8vo., original black cloth decorated in red and white, viii, 386, 6pp. 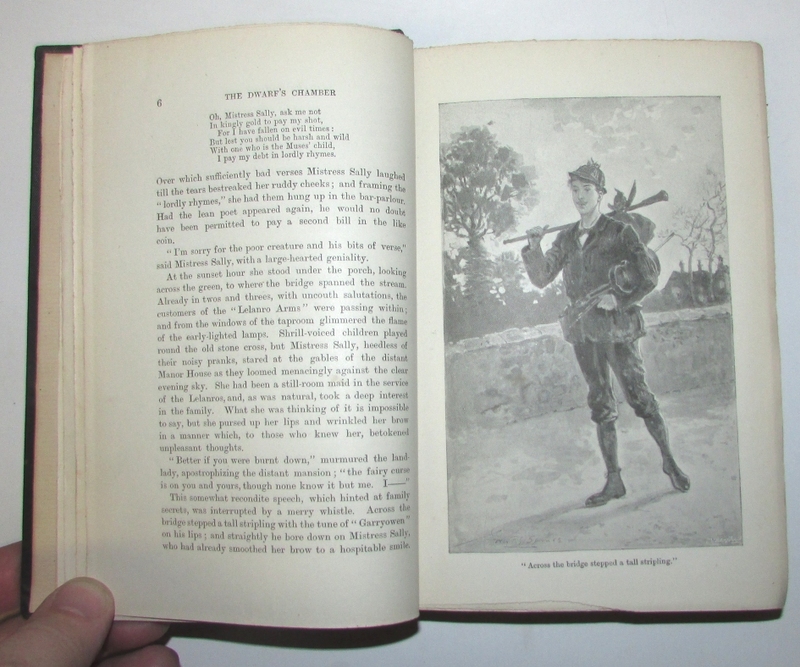 Ownership inscription, offsetting on the front endpaper and pastedown, otherwise a fine copy. 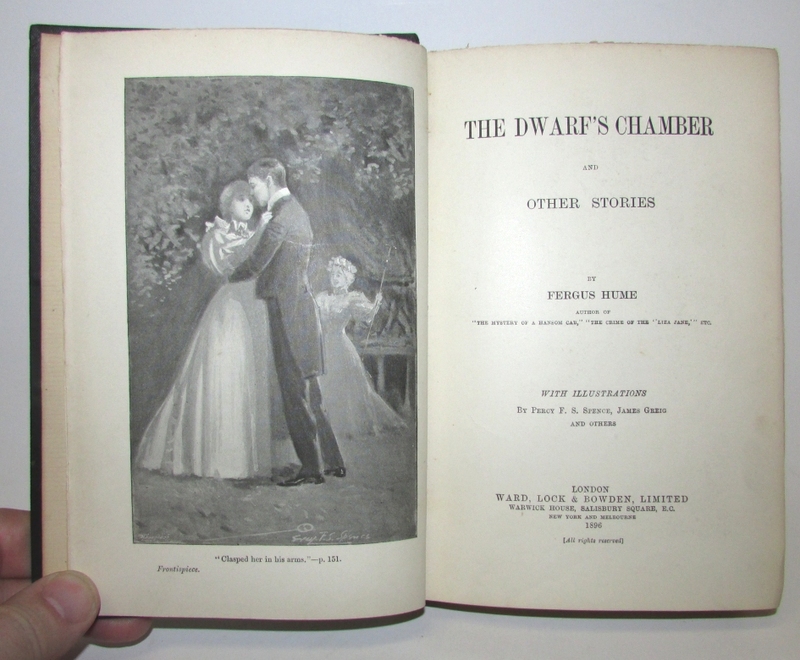 Wolff 3361 misidentified as “The Dwarf's Cousin”, Greene & Glover 270 (later edition).